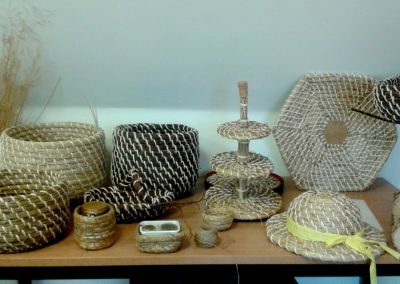 I am a basket maker, weaver and twiddler and sometimes even a knitter of natural materials mostly collected from the farm or from Flanders Moss National Nature Reserve. 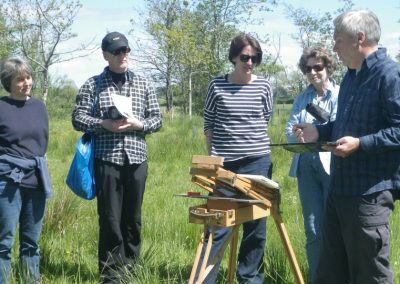 We have attracted the very best of creative artists to West Moss-side and each year participate in Forth Valley Art Beat. 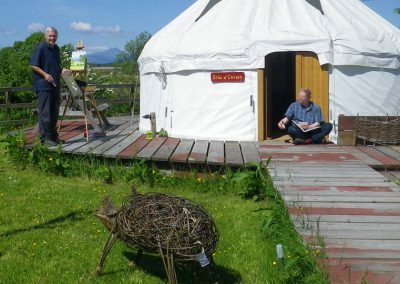 Over the years we have hosted a huge variety of workshops in the hayloft. 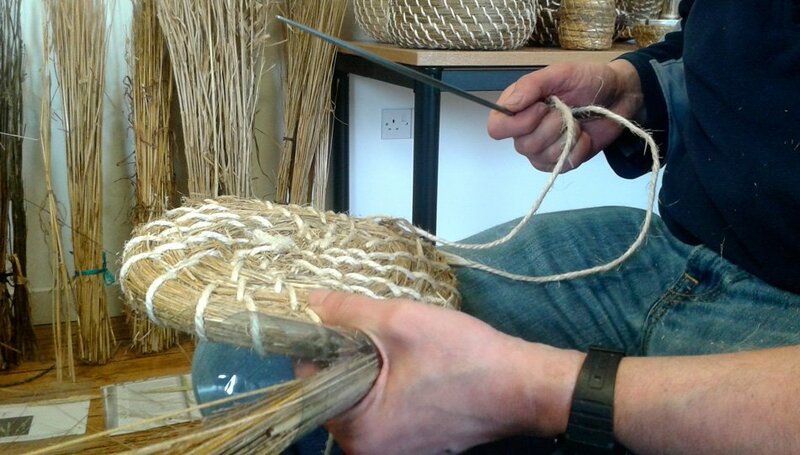 Including traditional willow basketry, rush and cane chair seating, birchcraft, felting and bee skeps. 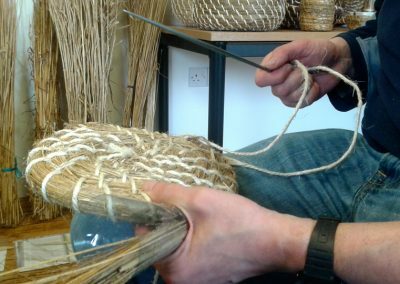 We will be relaunching our traditional and contemporary art and craft workshop programme in the New Year. Please sign up to the newsletter to be kept up to date. We respect your Privacy. Your information is safe and will not be shared. Like all things at West Moss-side the root is the land itself. 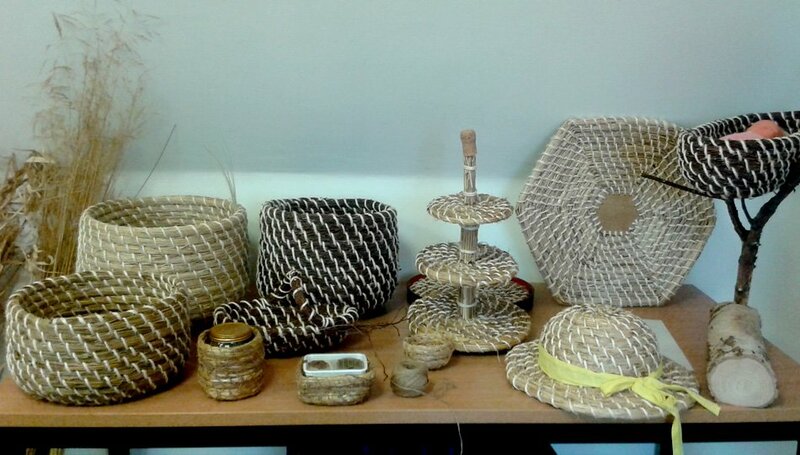 I began basket making in 1999, when designing a conservation plan for the farm. Willow was planted on the banks of the Goodie Water to provide vegetation for wildlife and to stabilise the (previously) engineered banks. 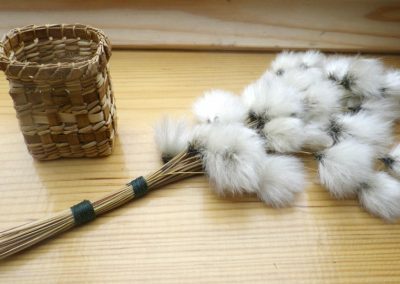 The willow rods were harvested every year for basket making. Since then I have planted willow everywhere! 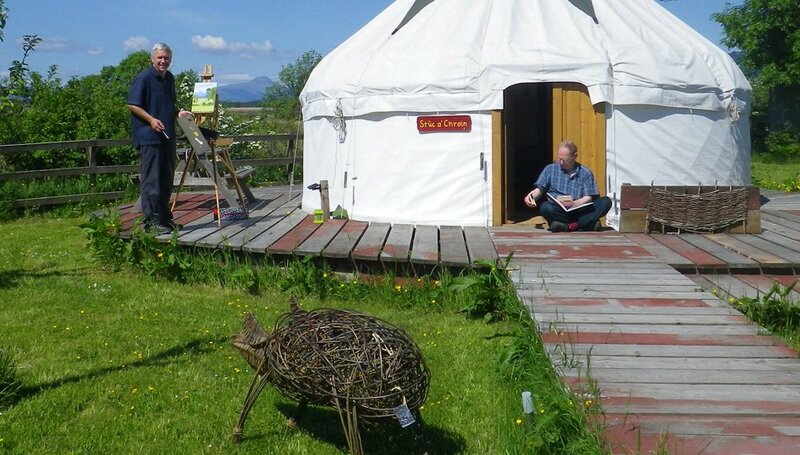 You will find willow fedges, willow domes, willow sculptures and even a willow labyrinth for contemplation or just fun. 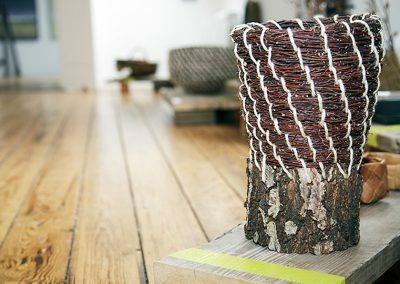 I have also experimented with using Star Moss which was traditionally used for making rope but I have knitted and woven with it to make baskets and wall hangings. 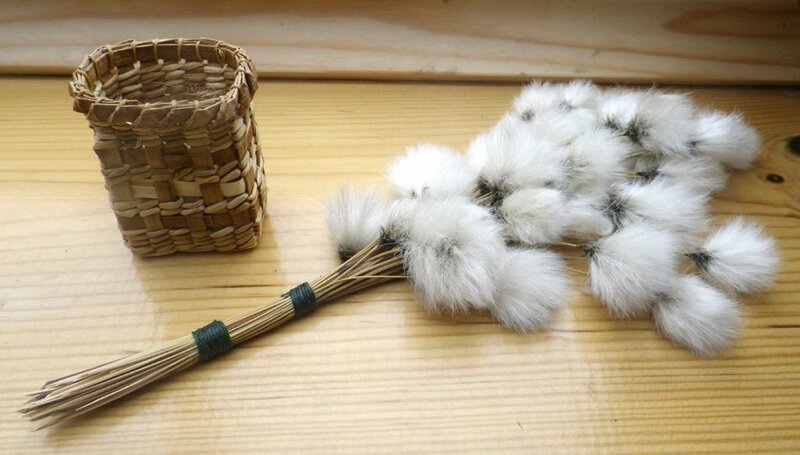 I also use field rush, cotton grass and birch in my work. 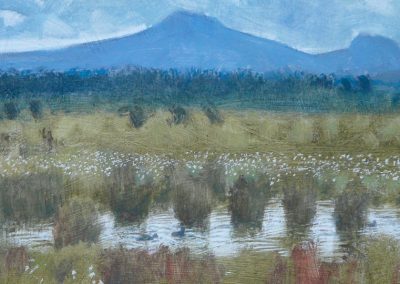 The West Moss-side Collective includes seven local artists – some of their work is on permanent display but each year we host an exhibition for Forth Valley Art Beat. The next one is June 8th – 16th 2019. 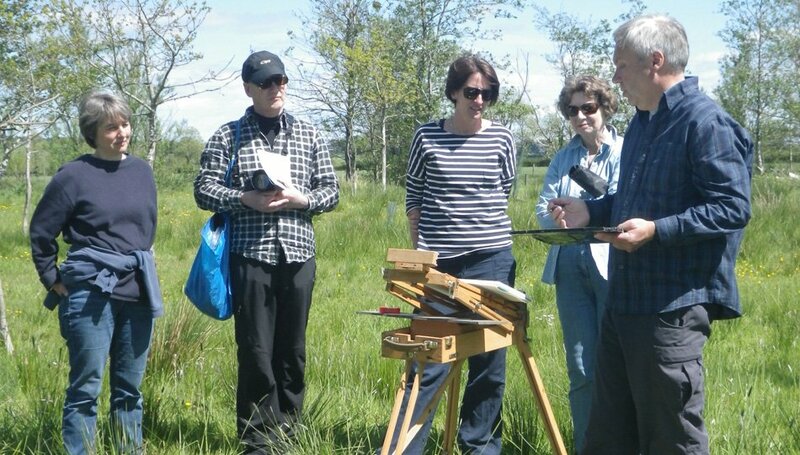 Kate Sankey is joined by two fine painters. Graham Tristram – www.studiotristram.com. 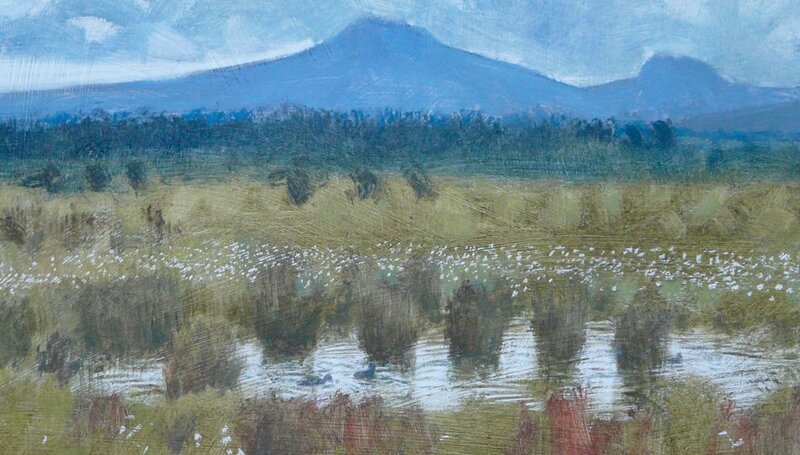 Graham’s paintings begin in the landscape and are inspired by light, atmosphere and the abstract patterns of nature. He uses oil pastels and acrylic to create; Darren Rees – www.darrenrees.com. Darren is an international wildlife artist who paints in acrylics and oils, his paintings capture the essence of the wildlife of wild places. Jill Dow is a print maker and pencil drawer. She is fascinated by the detail of the natural world. Michael Prince – www.michaelprincephotography.co.uk. Michael is a landscape photographer and film maker. The work on display at West Moss-side is black and white art photography which conjures up the mood of the landscape and his project of the Clydesdales of Flanders Moss is particularly atmospheric. 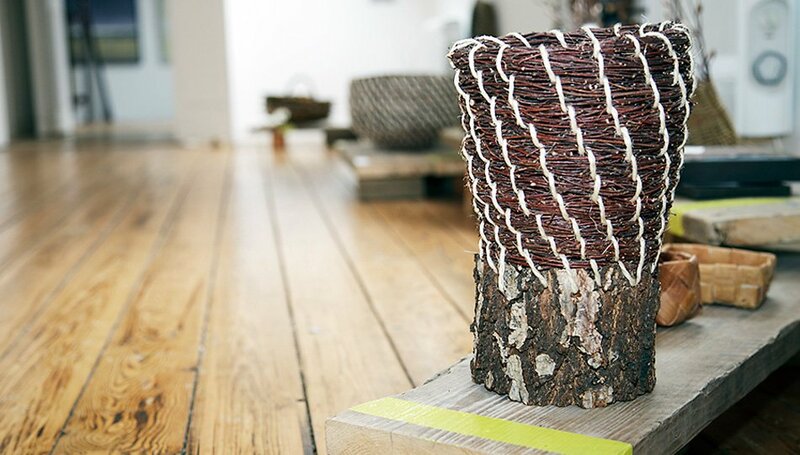 Charmian Pollok works with hand made paper and found objects. She creates exquisite and magical 3D sculptures from old and long lost pieces of iron and wood or bone. 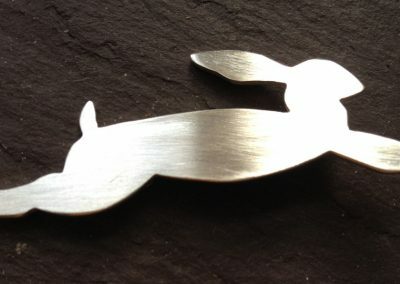 Gillie Welstead – www.gilliewelstead.com. 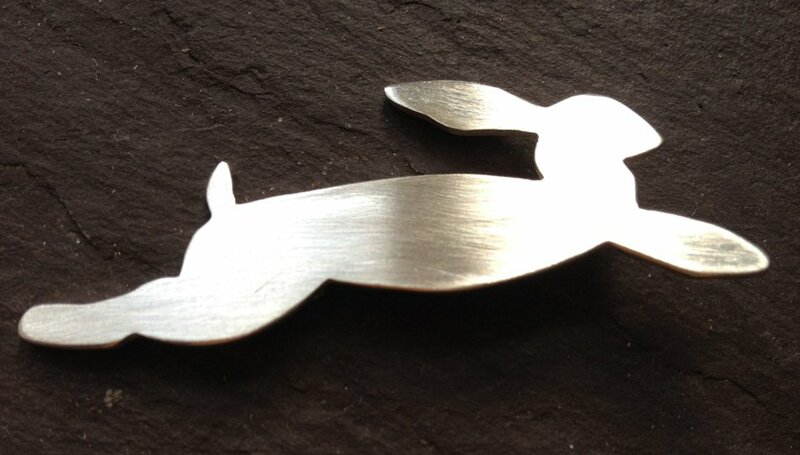 Gillie is a silversmith who makes beautiful work inspired by the natural world.